The Get Sewing course is 5 sessions aiming to get you from zero to hero (in the sewing machine world) and confident on your machine. We’ll make sure every setting on the machine gets a look in, and after 5 weeks on the trot you’ll become firm friends. So lets get using it!! Starting Feb 20th 2018, and running for 5 consecutive Tuesdays 8-10pm at The Green Nunhead, SE15 3QQ. Just bring along your sewing machine (it’ll be so thrilled to be coming out of the loft/from under the stairs…). If you don’t have a machine yet let us know when booking so we can bring one along for you. There are so many creative people in South East London, and we are inviting just a few of them to host one-off workshops in the lead up the Christmas, enabling you to try a new skill, and to create hand-made gifts and elements for Christmas. 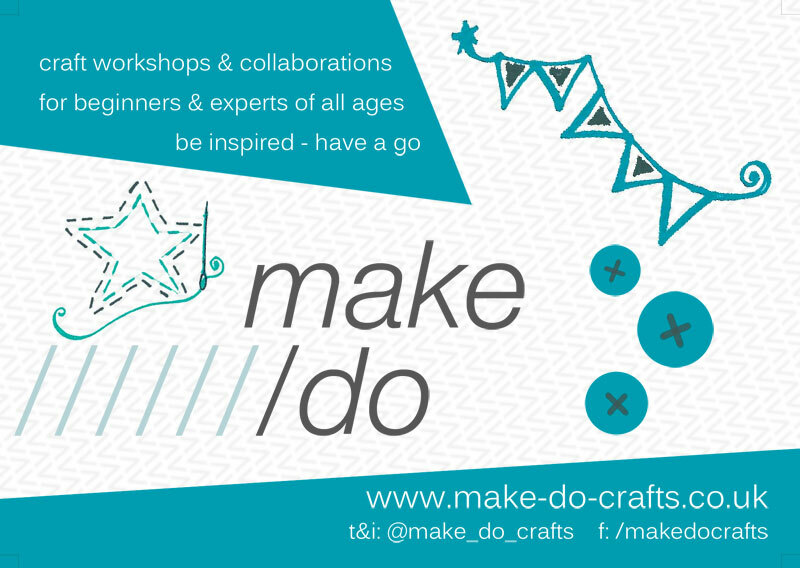 Sign up for the classes using the links below (with booking fee) or email hello@make-do-crafts.co.uk to reserve your place. These are great fun to do as a group of friends, and will include lashings of refreshments. Everything you need to know to create beautiful calligraphy, starting from the basics. Class includes ink, nib and paper to take home, plus the artwork and gift tags you create in the class. Lucy from Material will guide us with her expert origami skills to create some smart and minimalist decorations in various sizes for dramatic impact. Join London Terrariums for a festive evening in Nunhead for an evening making your own Tinyjohn Terrarium! You will learn how a terrarium works and create your own exciting miniture garden to take home. 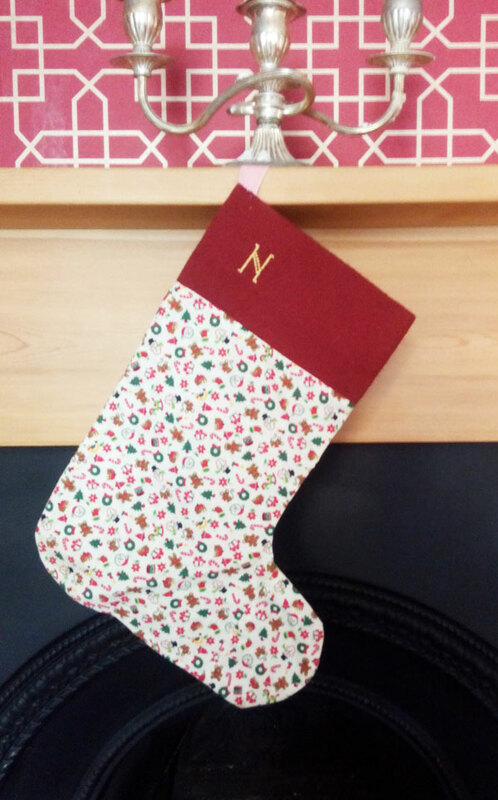 Learn the basics of a sewing machine and create a Christmas stocking that will brighten someones Christmas morning for years to come. No experience necessary. If you have a sewing machine bring it along to get to know your own machine. A G Flowers are repeating last years popular wreath making course, to create a Christmas wreath for your door from a range of foliage and accessories. All classes are held at The Green, Nunhead (SE15 3QQ) Tuesdays from 8-10pm. If you have missed the start of the 5 week course at The Green, then you can still catch individual classes over the next couple of months, plus some added extras. The following classes will be held at Really Maria haberdashery, Lordship Lane, East Dulwich and include use of her Janome sewing machines. You will need to provide your own fabrics and notions. Learn the basics of the sewing machine, from threading up to making button holes. You’ll use nearly every setting on the Janome machine, plus gain some handy tips for the starter for new project ideas you can try at home..
Make a variety of Christmas decoration whilst using the basic settings of the sewing machine, and some hand finishing techniques. Learn how to read a commercial pattern, cut and make a pair of pyjama trousers, with other garment making tips and hints. Using the chest and height measurements for a child, you will create a basic pattern and start a simple childs dress suitable for ages 2-10. Using your own measurements you will create a personal pattern and then make a basic tunic top, leaning the basics of garment making and how to ‘pattern-hack’ to make more garments from the same basic pattern. 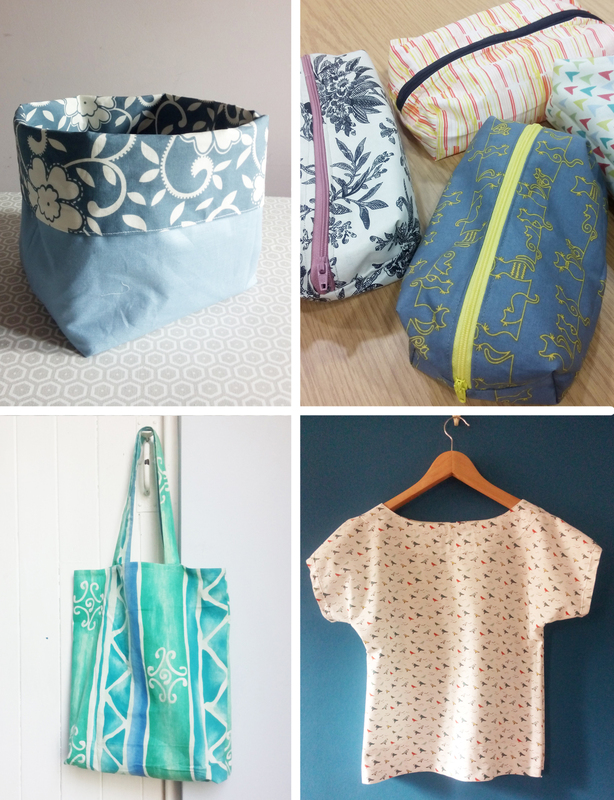 Get to grips with using your sewing machine whilst making a range of projects for your home and wardrobe, including tote bag, make-up bag, and a simple t-shirt top…Perfect for beginners, or those who need a refresher or some inspiration and encouragement to get sewing again. During the 5 week course you’ll learn what all those dials do on your machine, and get some practice making lovely projects that are easy to replicate and adapt. Threading your machine each week, and using a variety of skills and settings, you’ll gain the confidence to carry on sewing at home. Each class also offers Step Up ideas, if you are ready to push your skills a bit further. At The Green community centre, Nunhead. The course is designed for you to get to know your own machine really well, but if you’d like to learn to use a machine before you buy one, then let us know. Either book online via EventBrite, or email to reserve your place. Did you get a new sewing machine for Christmas? Or had one sat gathering dust for a while? For those who get the basics quickly, each project has Step Up ideas to take your project a bit further. By the end of the 5 weeks you will have been introduced to all the settings, feet & dials on your machine, and go away with some ideas for sewing on your own. You’ll learn basic fabric handling and the different fabrics and their uses, and how to adjust your machine accordingly. Yourself & your sewing machine. You may also find it useful to have your own pair of fabric scissors, pins & tape measure. 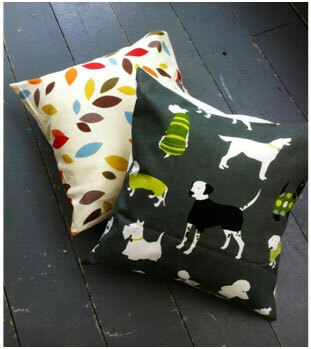 If you don’t yet have a sewing machine then email niki@make-do-crafts.co.uk so we can arrange to bring one for you. So for the budding fashionista, sewing-your-own is the way to go. If you are stuck for the perfect Christmas Gift, then why not get them a voucher towards sewing classes to give the skills they need to create gifts, garments & garlands from scratch. 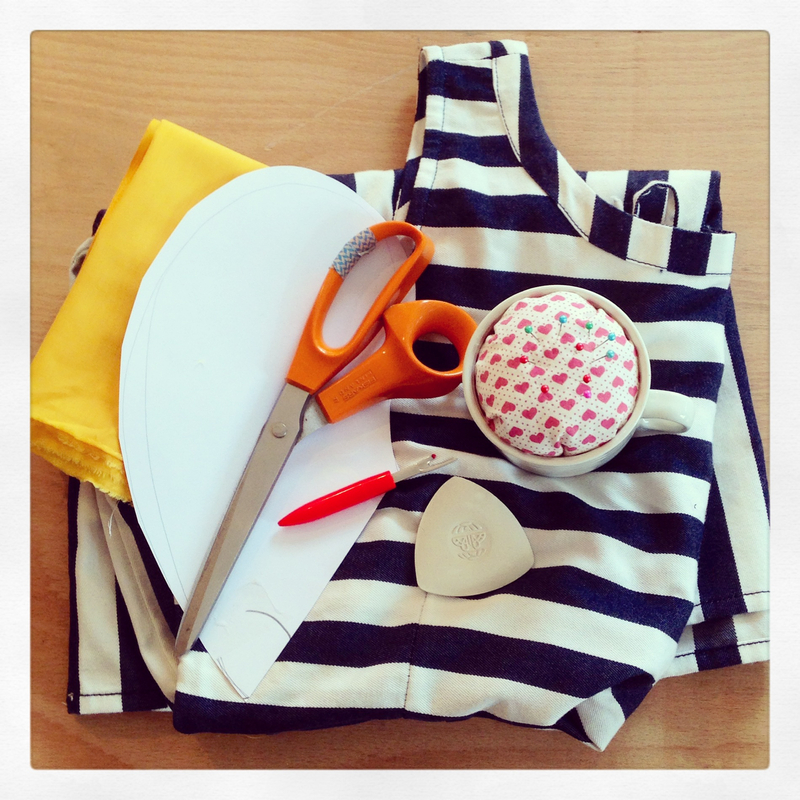 Make Do sewing classes in Nunhead start from beginner level; learning or refreshing all the basics of machine sewing and creating projects at each session along the way, then Step Up classes for those with more know-how who want to push themselves. See the Workshops page for the current schedule and more details. To order a voucher for someone, email us to choose an amount – either up to £25 for a one-off Step Up class, or any amount up to £130 for the beginners 5-session course. We will then email you a voucher to print out to give to your recipient, who can then choose the class they’d like to attend. If you’d like to secure their place on a particular course, then you can book either by email or via Eventbrite. With mulled wine & mince pies in hand, we will be guided by Wendy and her team to decorate a wreath with a variety of foliage and accessories, creating something which will impress your neighbours. 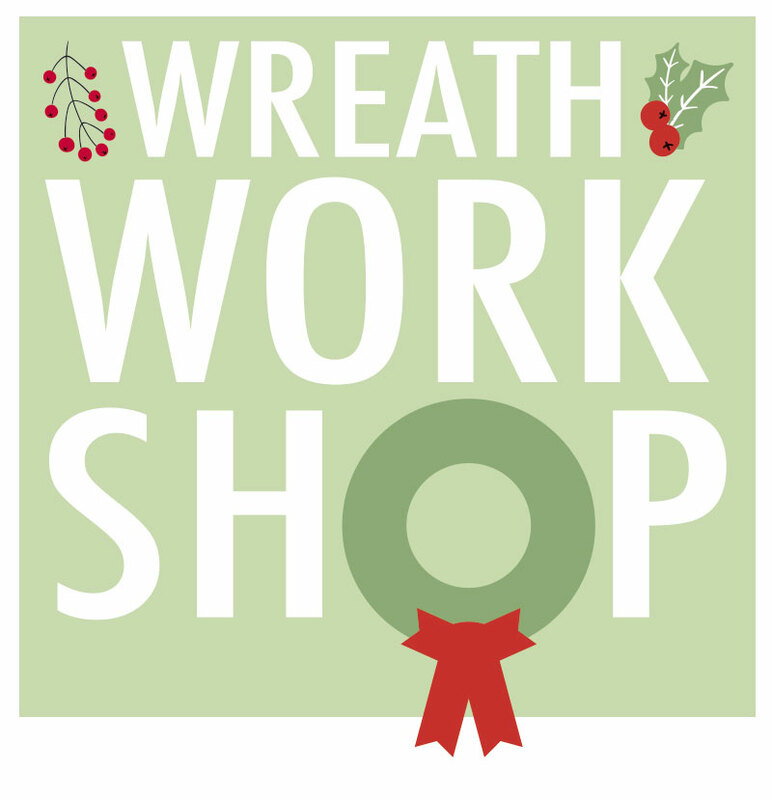 The £40 session includes wreath and bouquet demonstrations, all wreath making materials and festive refreshments, PLUS one participant will win a hand tied bouquet, courtesy of AG Flowers. 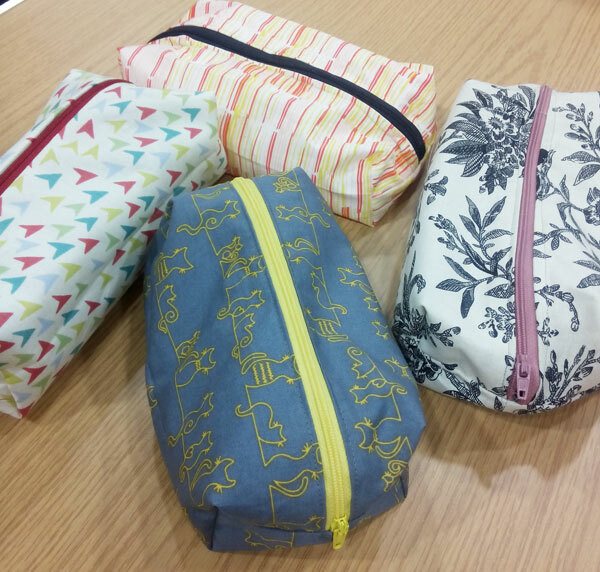 Beginners Sewing Machine class – Christmas version! A 5 week course starting on Monday 7th November, teaching you all the skills you need for using your sewing machine with confidence. As an added bonus we’ll be making things for Christmas – for your home, and gifts that can be easily replicated and adapted. Including: A Christmas stocking, advent calendar, zipped bag and Christmas decorations. £130 for 5 sessions. All materials (& tea & cake) are included. 7.30 – 9.30pm at The Green Nunhead. Spaces are limited to 6 people per class. Booking essential. What item of clothing is complete without pockets? Strangely, most manufacturers these days seem to think it’s the first place to cut costs (less fabric maybe? Less machine time? Less pattern paper? Who knows) and so upsettingly few dresses now come with pockets. I can understand not putting pockets on bodycon or wiggle dresses, but on a dress with a floaty or full skirt frankly there’s no excuse. I mean, where else are you going to keep your lip balm? Or your rhubarb and custards and pear drops?